A gift that will give for years! You amaze me! Thank you Beverly! 🙂 But don’t be amazed! LOL! This is wonderful Jodi! 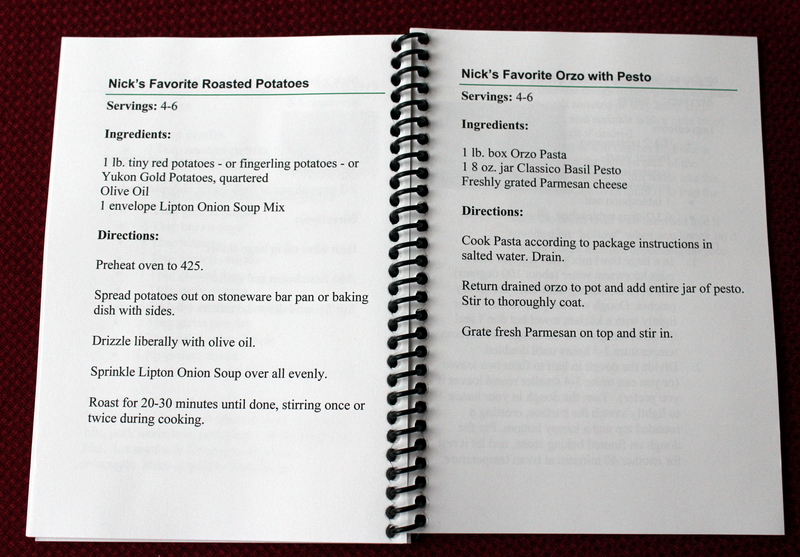 About 12 years ago, I bought a spiral notebook and wrote down all of our favorite recipes and gave it to my daughter. That is one of her favorite cookbooks! All handwritten with love. 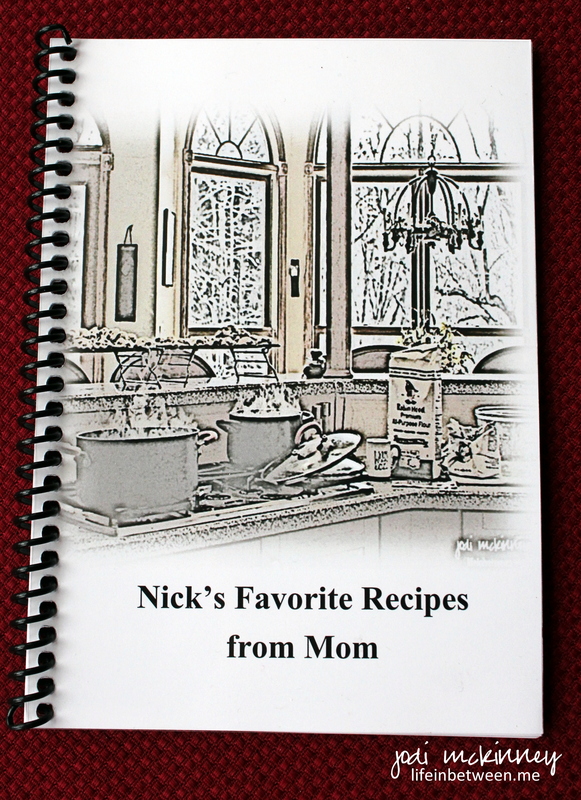 I love how yours are titled, “Nick’s Favorite…” Love it! I’m sure it will be a very special cookbook for him (and his wife someday) too! 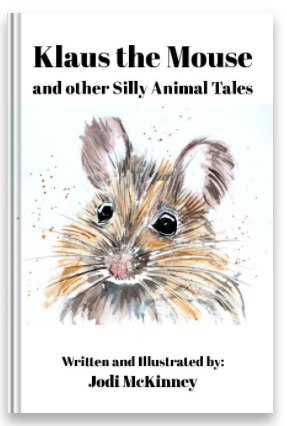 Oh PJ – what a lovely gift! Being in your handwriting makes it even MORE special! I don’t have the patience to write neatly. My hand gets tired, and I get exasperated since I can type so much faster – LOL! – But handwritten is so special! I thought so too Jodi. I also wanted to make my daughter-in-law one but after making that one, my hand just couldn’t do that much writing anymore. She can have the one I use (when I pass away). That’s true! My daughter-in-law isn’t really into cooking anyway. Hahaha! It looks great Jodi! That is actually how I started blogging, it began with a “cookbook” that I assembled in a binder and gave to my adult children for Christmas, and I titled it The Painted Apron…Happy New Year! Thanks Jill – He could never treasure it as much as I treasure him, but I will keep trying 🙂 I know the days are not long that he will be flying the coop, so I am cherishing the moments! well – nicole – anyone with a blog named paper baker must! LOL! ENJOY! Hi Jodi, the best gift of all for your son, it’s a treasure. You are so organized. Oh Elizabeth – I am so not organized! Though I try (occasionally) – like today – where I spent FOUR HOURS and used 10 XL garbage bags to clean out my clothes closet! 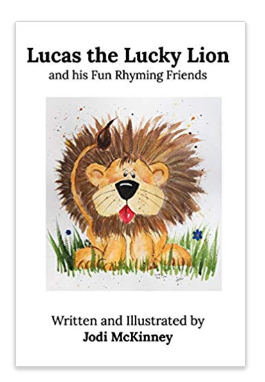 I am giving away more than I am keeping I believe – and BOY DOES IT FEEL GOOD! Happy New Year dear Jodi! I’m cleaning my closet today, getting rid of what doesn’t serve no more. Thanks Jill. I did make it myself with the exception of getting it printed at the print shop we use at work. I did the typing and layout. How special Jodi! Geez Louise the intro page was choking me up! Happy New Year to you! Awh! Thanks Renee!!! 🙂 You too! Such a wonderful gift and treasure. Brilliant and loving…so many of our memories are tied to our senses and food is a great one…nicely done! Peace. I love this so much Jodi. Just absolutely wonderful. What a lovely idea! 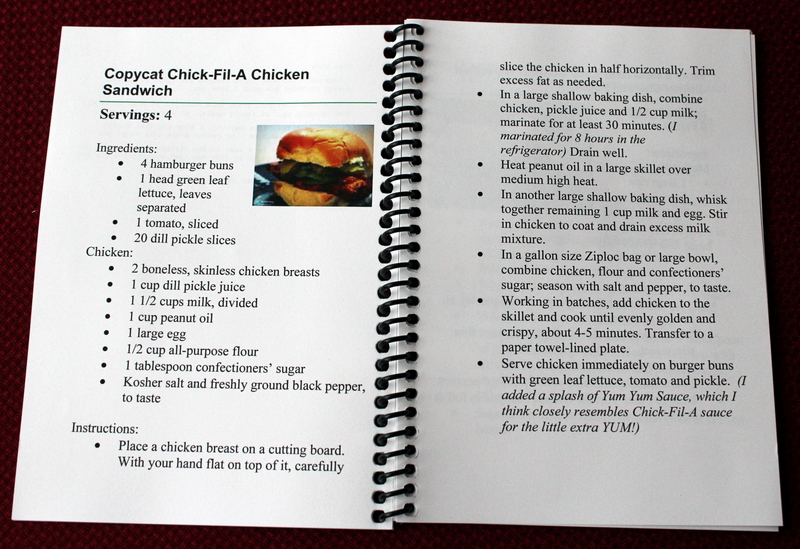 You know he will treasure this, and not just for the recipes. I think you just created a family heirloom! What a loving tribute to you, Jodi, that he would ask for this. 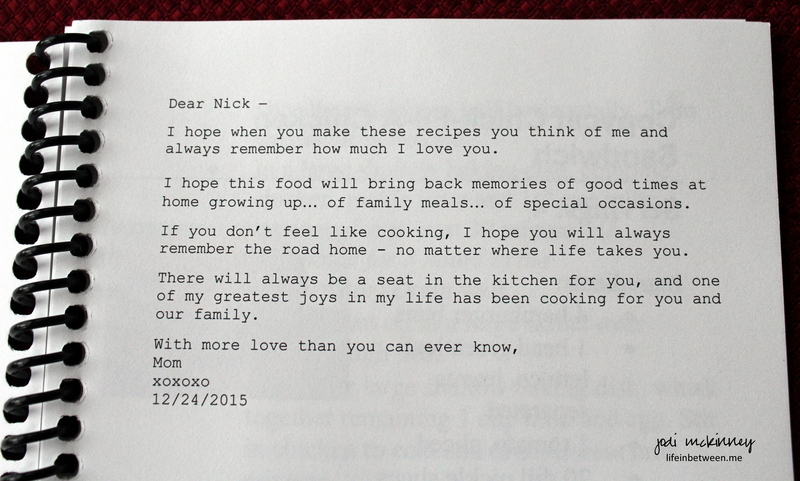 Thirty years ago my mother-in-law made up a handwritten booklet of family recipes for me. It’s the most treasured Christmas gift I’ve ever received.